Currently celebrating its 15th year Egg LDN is a versatile award winning multi-purpose venue in the heart of London’s Kings Cross. Firmly established in the London nightlife scene, Egg LDN has secured its place as a successful corporate venue, playing host to many different private functions from intimate product launches, networking events and board meetings to full on themed parties for a range of notable clients. 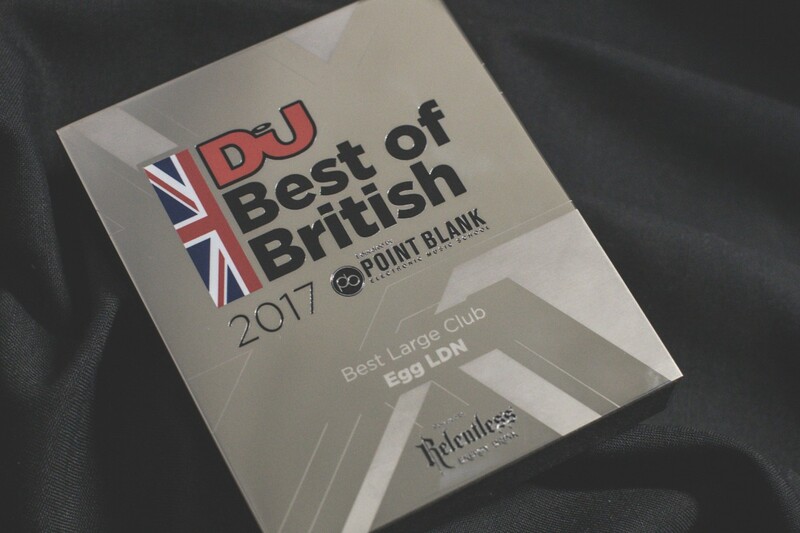 However, it is as a well-renowned warehouse style nightclub that Egg LDN has built its fearsome reputation on, surviving and thriving in the constant battlefield that is London Club Land. 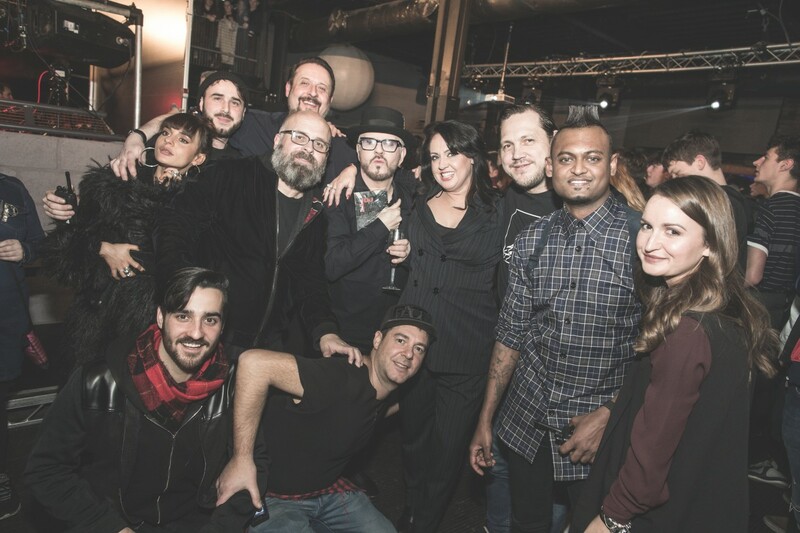 Never content to stand still the management and technical team at Egg wanted to mark the 15th birthday with venue wide developments and upgrades, including the audio systems throughout the venue. 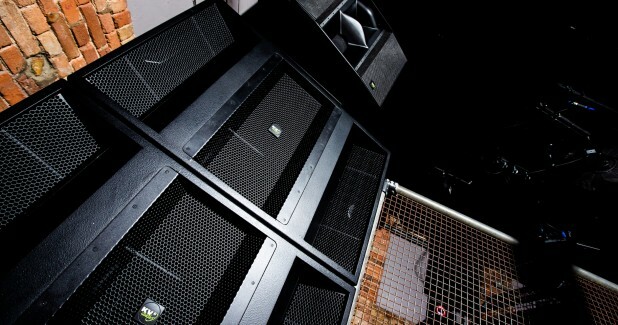 Having become increasingly aware of KV2’s growing reputation within the Dance-Industry, including hugely high-profile installations throughout Ibiza, Ben Short contacted KV2 Audio to discuss how they might go about improving the audio system in the venue. 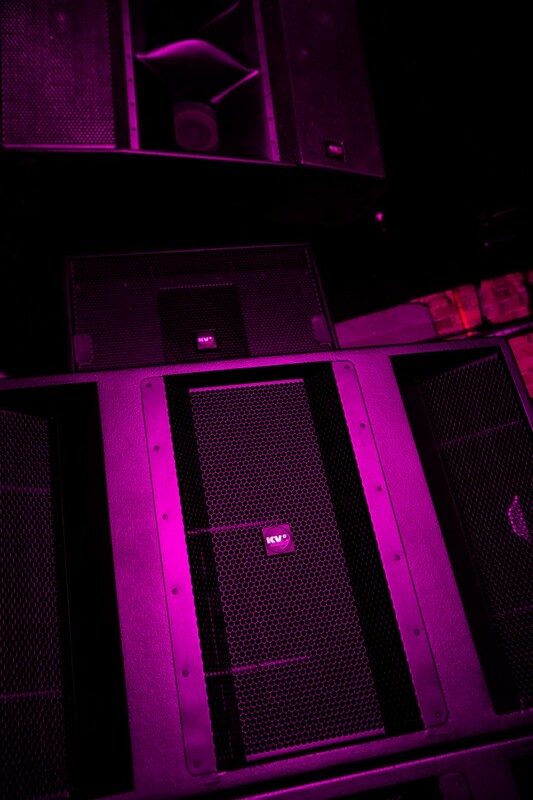 The initial phase was to look at Egg LDN’s “Middle Floor” and the opportunity to design one of the best sounding electronic music system’s for a room of it’s size was seized upon. Showcasing some of electronic music’s most exciting DJ’s and producers from around the globe, the system needed to comfortably deliver each nuance of every mix consistently throughout the space, and of course, at SPL’s demanded by a passionate Dance music audience. KV2 Audio’s commitment to reproducing the original source in its exact form with the lowest possible distortion figures allow Egg to hit impressive SPL levels without the aural fatigue associated with alternative Club Systems, too often tolerated in similar venues. A system comprising of 4 x SL4.12 mid/hi’s cover the space easily and evenly thanks to the wide 110 degree horizontal dispersion. The SL4.12 runs as a 3-way active mid/hi in conjunction with its dedicated stereo SL3000 amplification and control unit. Running down to 70Hz the SL4.12 is the epitome of KV2 Audio’s Super Analogue Active-Driven design, with bespoke amplification for each part of the 3-way design. 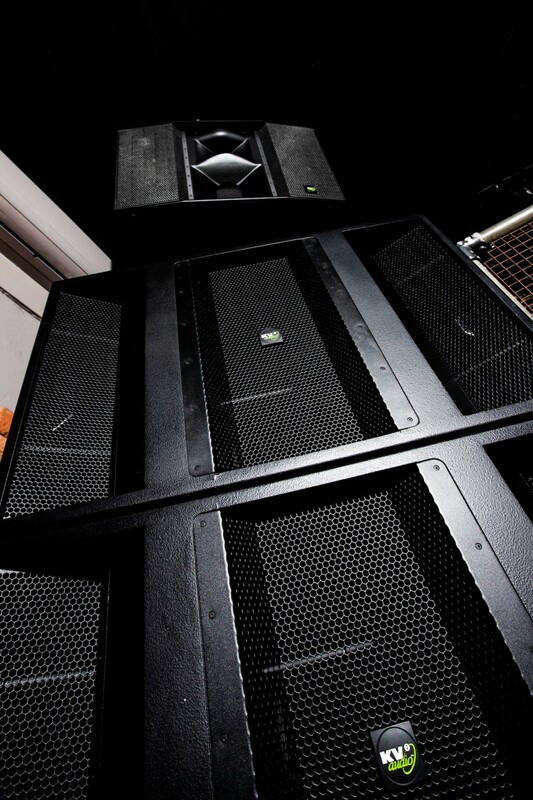 For the critical sub bass frequencies a pair of VHD4.21 subwoofer systems were deployed. 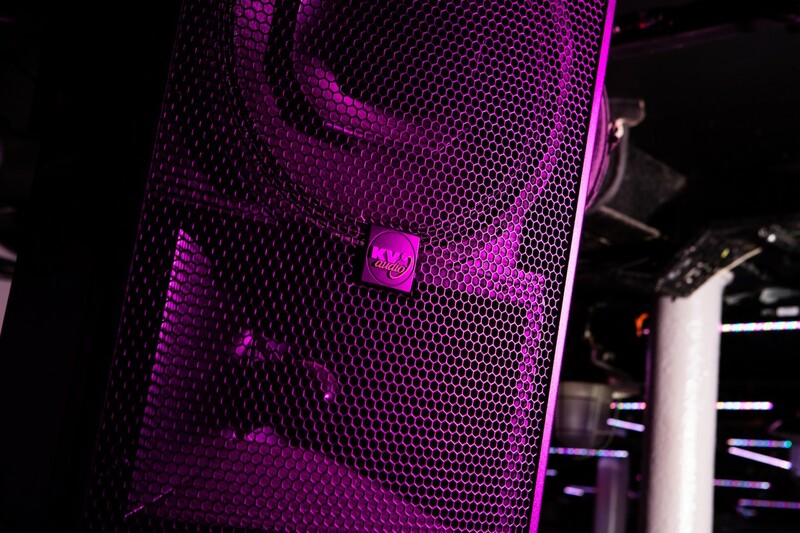 The VHD4.21 system comprises of 1 x active double 21” subwoofer that powers an additional 1 x passive double 21” subwoofer – delivering an astonishing 14,000W of peak power from a standard 16A feed. Featuring revolutionary new subwoofer amplification design unique to KV2 Audio it is one of the most powerful subwoofer solutions in the world. 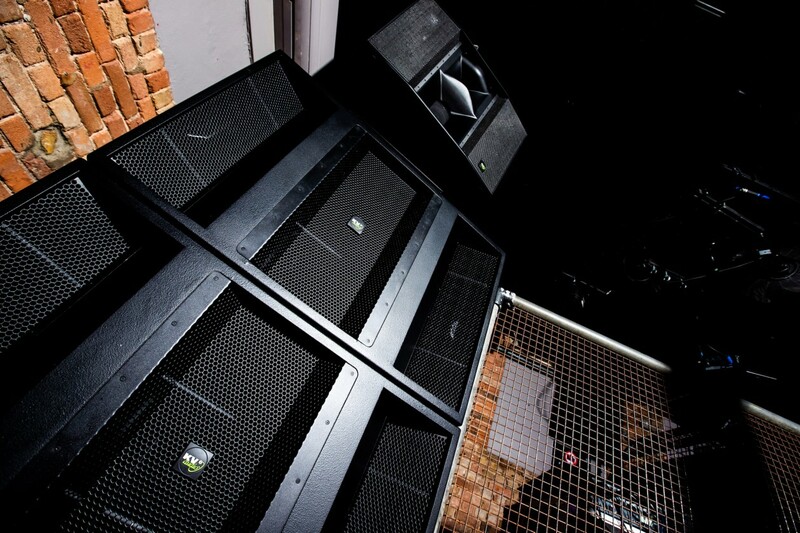 Suffice to say that a pair of VHD4.21 systems gives Egg’s Middle Floor phenomenal amounts of low-end that revelers feel to their core, whilst remaining musical, fast and more dynamic than traditional large format subwoofers. To further enhance the subwoofer offerings, just a single pair of ES2.6 2x15” subwoofers were also deployed to fill out the upper bass frequencies. To ensure the world-class DJ’s benefit from the same level of performance as their audience, a stereo DJ monitor stack featuring the active 3-way EX15 full-range top box and ES1.8 18” subwoofer keeps even the most demanding of DJ’s immersed in their performance. 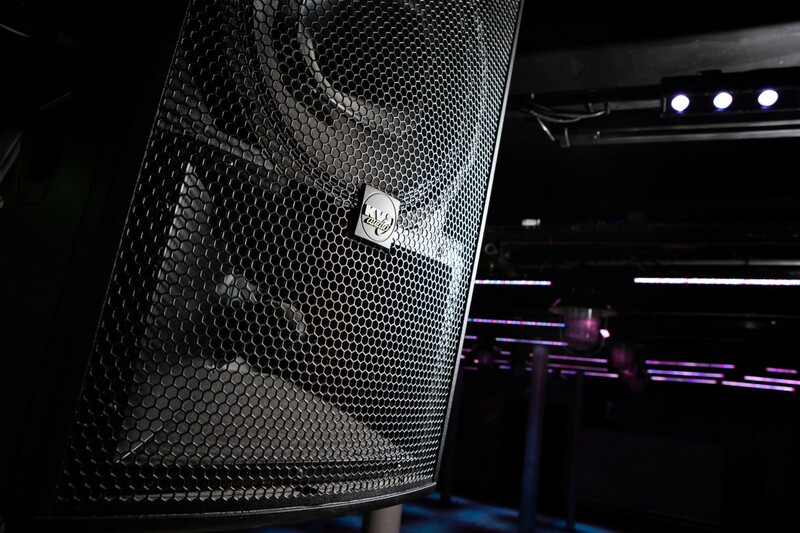 Technical Manager Ben Short discusses his experiences since the system was installed “The KV2 System is nothing short of how true club sound should be. It’s super low distortion levels result in such great amounts of Clarity. This, accompanied by that sheer power and transient response of the low end, is just to die for and leaves the audience and the artists smiling from ear to ear every time. 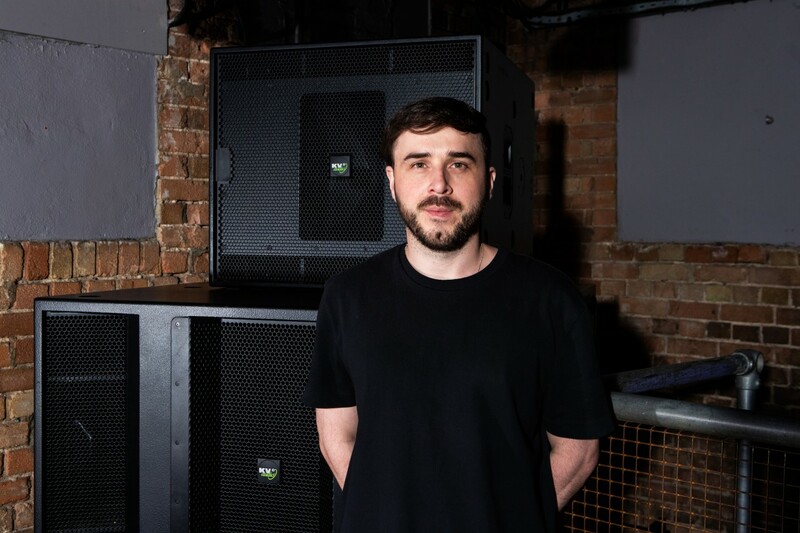 Working alongside Ben to make the project happen is Production Manager Brian McMurray “Nothing added, nothing taken away… the KV2 system is a peerless sound system which delivers on every level. Even genres of music that I would not normally enjoy sound amazing on a KV2 rig. Passionate about constantly keeping Egg LDN at the top of the competitive Club market is Club Owner Laurence Malice who is overseeing major developments throughout the venue, with a commitment to adding more KV2 to the other spaces in Egg LDN in conjunction with the 15th anniversary developments.